Protect-A-Bed is giving away thousands of pillow protectors for FREE (while supplies last). 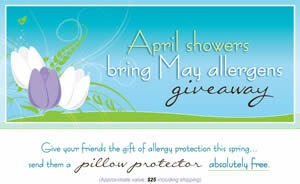 Simply fill out the information of a friend, and they’ll send them one Protect-A-Bed allergy proof pillow protector, at no cost to you or your friend. Click here for more info and the form.